Looking to do your own taxes this year? Our FreeTaxUSA review covers what you need to know about this simple and remarkably cheap way to file tax returns. FreeTaxUSA was founded by a CPA and a team of software developers in 2001, the same year former President George W. Bush instructed the IRS to begin offering free e-filing services to taxpayers. It is a simple and remarkably cheap way to file even complicated tax returns — and it's better than TurboTax if you have a complicated return or mean to itemize deductions. All major forms supported. While competitors such as TurboTax upsell premium services to file more complicated returns — business taxes, for example — FreeTaxUSA supplies everything you need in one place. Even premium services are cheap. FreeTaxUSA Deluxe (just $6.99) gets you access to premium support plus professional help if you suffer an audit. You can also file as many amended returns as you'd like, and for free if you've found deductions you didn't get full credit for when you first filed. Jumpstart your return. As virtually every FreeTaxUSA review points out, the service allows you to import a prior-year return from TurboTax, H&R Block, or TaxAct to pre-populate your current return. Or you can just file, save your data, and return the next year and get the same benefit. Either way, filers save time. And did we mention the base version of FreeTaxUSA is, as the name advertises, free? To be fair, all of the major tax software suppliers have a free version, but none are as comprehensive as FreeTaxUSA at the same price point. Let's dig a little deeper first. Intuit's Absolute Zero tax filing offer — as in $0 federal + $0 to file a state return — is available to those who file using the TurboTax Federal Free Edition. There's just one catch: you can't itemize deductions and still file for free when using TurboTax. But if you don't need to, TurboTax is a solid choice for taking the standard deduction and filing your 1040A or 1040EZ. Guided filing. Sign up and TurboTax takes you through an interview to complete your 1040A or 1040EZ return. No financial savviness needed. File in every state. TurboTax has been in business long enough to do business with every state. If you've got a single state return, you can file it for zip, zilch, nada. 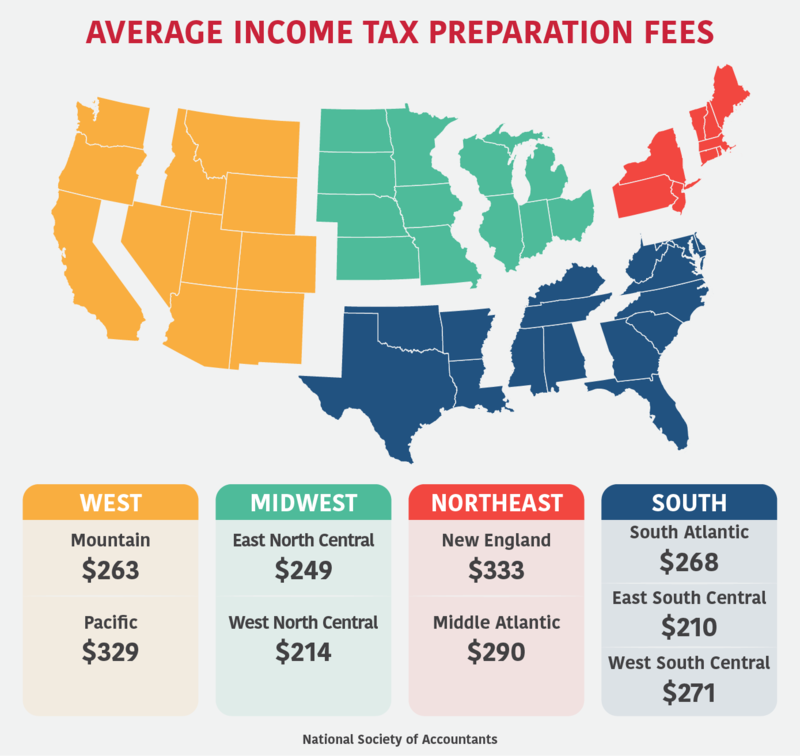 FreeTaxUSA will charge to file your state return. FreeTaxUSA wins if you'd be better itemizing deductions. If you own a home, have significant medical expenses, or have a taxable brokerage account for investing in stocks and mutual funds, you'll need to itemize the claim for full benefits — and TurboTax will charge you anywhere from $54.99 to $114.99 for the privilege, with fees added for filing state returns. So, be careful and know your tax situation before signing up for any tax filing service. FreeTaxUSA not only offers direct deposit for both federal and state refunds but also doesn't charge to receive your refund. To order direct deposit, you need to go through the complete filing process and order the product you'll use to file your return with FreeTaxUSA — you can choose a free or Deluxe version for $6.99 — and then choose the direct deposit option if the data you've input shows you're due a refund. Enter details such as your account number and your bank's routing number and then sit back and wait for your cash. You'll get it two weeks sooner than you would have if you'd ordered a check, FreeTaxUSA says. If you're among the tens of millions of U.S. workers who are self-employed and file taxes, FreeTaxUSA will provide all the forms you need — free — including the K-1 if yours is an incorporated business. Savvy filers may be able to get away filing every federal return for the low, low price of $0. What makes FreeTaxUSA great — access to all forms, for any type of return — is also what makes it weak. "I did not have any more in wages but they put my insurance commission proceeds as other income and put in the schedule C which is self-employed. "I AM NOT self-employed, but by doing that I end up having to pay the self-employment tax and I think they added the 1099 totals as income AND again on schedule C. I finally gave up after chatting for awhile but I will probably not use your company again. "My 1099 commission total was only $100. more than last year, but took a lot from my refund," writes FreeTaxUSA member Edna Schmidt. The message? You'll need to have a passing understanding of what's needed in your filings and fill out the forms correctly. And while the Deluxe edition includes priority support and unlimited options to amend your return if you make a mistake, TurboTax is the better option for those who need lots of hands-on help to file accurately and on-time. Even if you're paying for the Deluxe version and filing returns in two states because you moved during the year, the max you'll pay using FreeTaxUSA would still be $32.89, and you'd have access to all the IRS needed. TurboTax can't match that deal, choosing instead to offer filers the option to use their refund to pay fees. Don't be fooled by that though; you're still paying more, and on top of the cost of the software you'll also pay a $34.99 "Refund Processing Fee." To this day the company remains one of the original members of the IRS' "Free File Alliance," a consortium of companies verified as capable of securely filing federal tax returns. Every employee of FreeTaxUSA lives and works in the United States. Whether that's a sly way to attack competitors or a source of pride — or both — if you're the type who prefers supporting American businesses, FreeTaxUSA may be worth a look. FreeTaxUSA is a simple service for e-filing your taxes. How you file and what you need determines which of the three services listed below you'll be using when preparing your tax return. We explore each of the three editions below. Free federal filing. Whether you e-file or print your return, FreeTaxUSA lets you do the work for free. You can also file a free extension if you need extra time. Basic customer support. Send an email, get a response. That's the extent of FreeTaxUSA's free customer support, and your experience may vary. All major forms supported. Whether you're self-employed, generating investment income, or single and looking to claim the standard deduction, FreeTaxUSA supports all the forms required to get your return in on time. That's a handy benefit, ToughNickel.com points out in its FreeTaxUSA review. Import tax data from major software suppliers. FreeTaxUSA allows you to jumpstart your current-year filing by importing your prior year return from either TurboTax, H&R Block, or TaxAct. So where does FreeTaxUSA make money? State returns, which cost $12.95 each to file. The company also gets paid for one-offs such as filing amended returns or for its more premium Deluxe service. Looking at FreeTaxUSA reviews, most see the main benefit of the Deluxe edition as premium support. Pay the $6.99 and you'll get to jump to the front of the email queue to get answers. Audit help. Most taxpayers won't get audited. 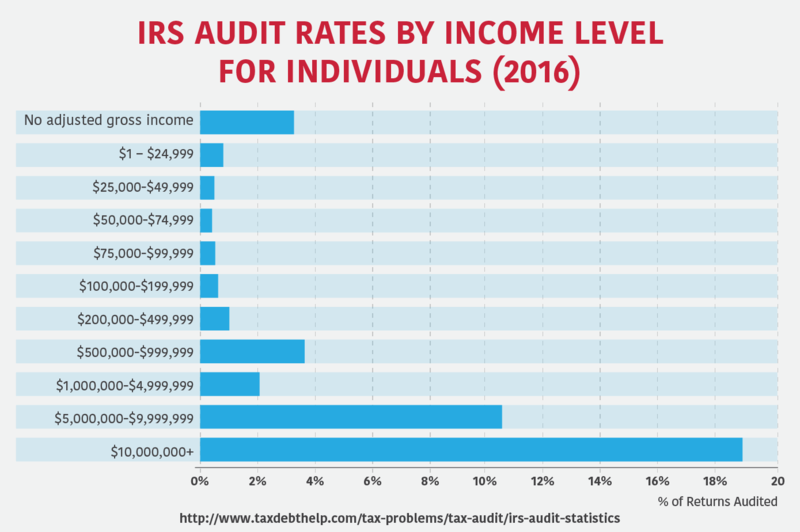 Last year, for example, only 0.7% of individual tax returns were subject to audit. If you happen to be among the unlucky few who also happen to have filed with FreeTaxUSA Deluxe, you'll get access to a specialist to help get the IRS off your back. Unlimited filing of amended returns. We all make mistakes on returns. The IRS will (usually) accept amended returns without hassle, but the job of amending and filing isn't free with the free version of FreeTaxUSA (say that three times fast). You'll actually pay $14.99 for the privilege, so be sure that you're amending to either prevent further penalties or to get the refund you actually deserve. Free extensions and prior year tax filing. You don't have to sign up for anything extra to file an extension and get more time to file a complete return. FreeTaxUSA also provides access to software for filing prior year returns if you're behind. Up to six years' worth of federal returns are available for free, but you'll pay $14.99 for your state return. Also: there's no e-filing option for old returns. Falling behind means you get to lick a stamp – sorry! The vast majority of the 86,000-plus independent FreeTaxUSA reviews you'll find at the website are positive. Overall, members give the software 4.8 out of 5 stars and describe the service as useful for even complicated tax situations. In his FreeTaxUSA review, Rob Berger at Doughroller calls the service "a decent online tax preparation software package, and the price is certainly one of the best in the field." "Being a retiree, the simplicity of your system is much appreciated, and the cost of filing my state return was very low considering how much information was involved," writes member stembottom in his FreeTaxUSA review. "We were able to deduct mileage for multiple vehicles, figure depreciation on business equipment, etc., with no difficulty, and did not pay an additional fee to [FreeTaxUSA] for the extra forms necessary," writes member WantToBeInTheADKs in her FreeTaxUSA review. "Easy to use, thorough, and MUCH less expensive than hiring a professional who asks the same questions and collects the same information." It's not difficult to find other good FreeTaxUSA reviews. BestCompany.com gives the service a 7.6 out of 10. Reviewer Edna Schmidt, from above, is one of hundreds to have filed complaints at FreeTaxUSA. Some of the bitterness appears to do with the general design and usability of the site. Some found it to be unwieldy, leading to unexpected mistakes. "I was able to quickly complete my taxes however I realized just after I filed and compared to a prior return that my return this year was incomplete. "I am now painstakingly going through to manually fill out and file an amended return. Will never use this software again," writes former FreeTaxUSA member WMM7. And while FreeTaxUSA is careful about security, a startling number of members complained about not being able to find their way to accounts they'd created in prior tax years. "I have been filing for the last 2-3 years and I could not remember my password. I did have the security questions picked and answered and [it] still wouldn't let me get to my old taxes," writes FreeTaxUSA member Waterlilly74. If you're the sort of filer who does most of their online work with a smartphone or a tablet, FreeTaxUSA won't be of much help. The company doesn't offer specific apps. TurboTax, on the other hand, gets high ratings for its tax return app on both iTunes and Google Play. FreeTaxUSA isn't a subscription service in the typical sense. Yes, you'll set up an account when you file a return — be sure to save your username, password, and security questions in a safe place! — but you're only paying for what you use when you use it. That means you could be a Deluxe member one year and a free filer the next. Regardless, make sure you have this FreeTaxUSA coupon code handy for a discount filing your state return: FREETAXUSA10. You should also note that you'll often find updated FreeTaxUSA coupons at Promocodes.com. "Customer support doesn't have access to passwords or accounts and can't delete information for you. You can sign in to your account and delete information from the account. "Your entire account can't be deleted, but most of the information can be deleted, and any information that can't be deleted can be modified and saved to be irrelevant information. This will remove or overwrite all of your information, making it irretrievable." Not exactly satisfying is it? Our advice: make sure you're willing to keep your data at FreeTaxUSA before signing up because it's going to stay there for a loooong time. Not that TurboTax is any different. Every online filing service is required by law to keep copies of the returns they submit on your behalf, just as a CPA would. Still wondering whether FreeTaxUSA's services are right for you? Yes, the primary plan is free for all federal filings and $12.95 to file state returns. And you can get a discount on the state return by using the FreeTaxUSA coupon code FREETAXUSA10. Is it safe and legitimate to use FreeTaxUSA? Yes, there are over 86,000 reviews of the service at the FreeTaxUSA website and the vast majority are positive. What's more, the Online Trust Alliance conducted a review of e-file websites and found FreeTaxUSA worthy of its "Honor Roll." Can I save my returns on my desktop? Yes. Once you've filed, you can request to download a PDF copy of your return from the "View Your Return" screen and then select to "Print a Copy." There you'll find the option to download. What are the extra services that I can get with the Deluxe version? Priority support. No waiting when you have an issue. FreeTaxUSA also says its Deluxe members get access to their "most experienced" agents. Audit Assist. Here, too, FreeTaxUSA promises to put you with an expert to walk through what you'll need to do if you're audited or get a troubling notice from the IRS – hopefully not in the event of having lied on your taxes! How long does it take to file taxes via FreeTaxUSA? Everyone's tax situation is different so there's no standard answer to this question, but most reviewers seem to believe FreeTaxUSA is easy to use when compared to the alternatives. "It used to take me all day to complete my taxes and now it takes just a couple hours," writes a member who identifies only as "Interior Designer" in a review at the FreeTaxUSA site. Do I need to make a new account each year in order to use the services? No. In fact, as Rob Berger at Doughroller points out: "the free version will also automatically carry last year's information over to your current year's taxes if you use the software two years in a row." Where can I find the coupon I can use for the website? FreeTaxUSA tends to publish coupons close to tax time. Well-known sites such as Groupon, RetailMeNot, Coupons.com, and Ultimate Coupons have all offered deals for FreeTaxUSA in years past. Do I need to finish filing in one session or can I save it and continue filing later? No. FreeTaxUSA backs up your work online. Keep your username and password handy and log-in as many times as you need before filing. Do I need to send paper documents once I am done filing? The point of e-filing is to avoid the paperwork. So, unless you're printing out a return to file by mail, your experience with FreeTaxUSA should be 100% digital. 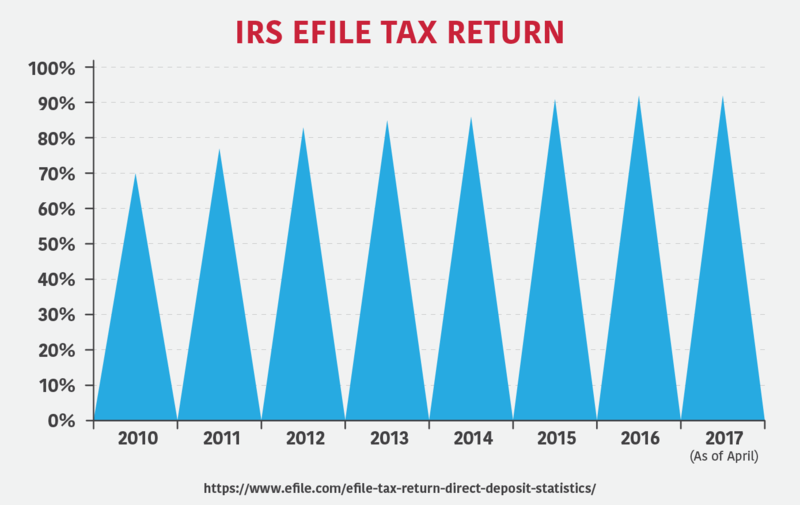 How long does it take for the IRS to accept an e-filed return? Tax representatives are generally able to research the status of your e-filed return 21 days after filing. 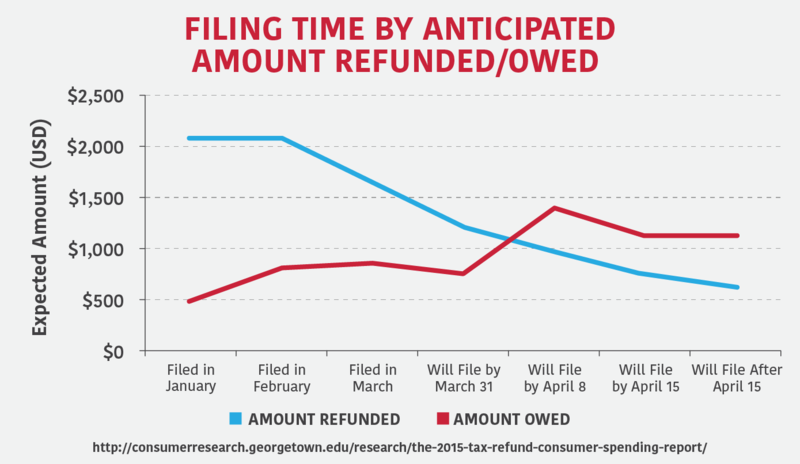 If a refund is due, you should receive it within that 21-day period — though the IRS makes no guarantees. How many people can file under the same FreeTaxUSA? You can file under any of the common IRS designations when filing federal and state taxes, including married couples filing jointly or separately, singles, heads of household, or qualifying widows or widowers in the unfortunate circumstance of losing a loved one. Can I get my refund through direct deposit? Yes. As we noted above, not only does FreeTaxUSA make it easy to set up direct deposit but it's worth the minimal effort required: you'll usually shave two weeks off the time it takes to get a refund when you e-file. Who can I contact if I have any issues through the process? FreeTaxUSA provides live chat and other professional assistance as needed. These services are free to those who are Deluxe members. Free filers have to pay extra for support on an as-needed basis, usually $5.99. If you think you'll need support or have a history of filing amended returns — which are $14.99 each under the free version, according to Berger's review at Doughroller — you'll get a better deal signing up for FreeTaxUSA Deluxe. How is FreeTaxUSA different from TurboTax? As we noted above, the main difference is FreeTaxUSA is much cheaper to use, even if you sign up for Deluxe and file returns in multiple states. Really, the best reason to go with TurboTax would be that you already use a different Intuit product for tracking finances or running your business, like QuickBooks or Mint for example. Sometimes life changes make it tough to file taxes properly. FreeTaxUSA can make it easier and less expensive to file those types of returns when you can't afford an accountant. But it's also not the only option. Unfortunately there's no way to avoid paying taxes, but did you know the same can't be said for big corporations?